Charlie Effinger stops Toledo's Randy Rowe point blank. 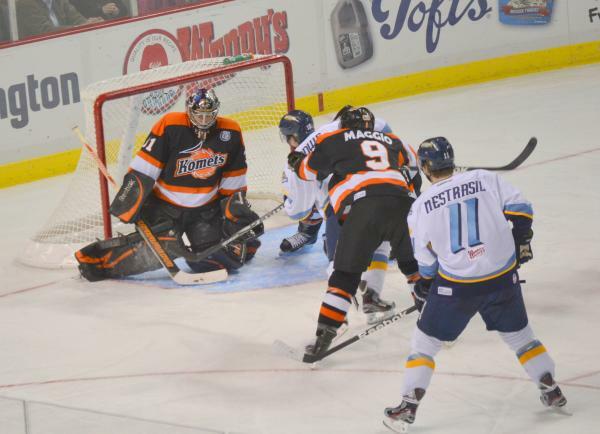 Seconds later Brent Henley deflected home a Daniel Maggio shots in front. Komets lead 2-1 late second.